Local councillor slams housing developer saying their actions seem “like a marauding army devastating the countryside”. 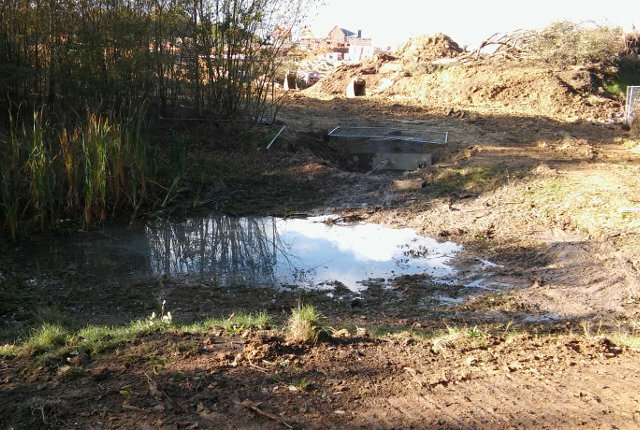 Isle of Wight councillor for Newport East, Cllr Geoff Brodie, says he has been bombarded with complaints from residents over the weekend following the destruction of a wildlife pond. 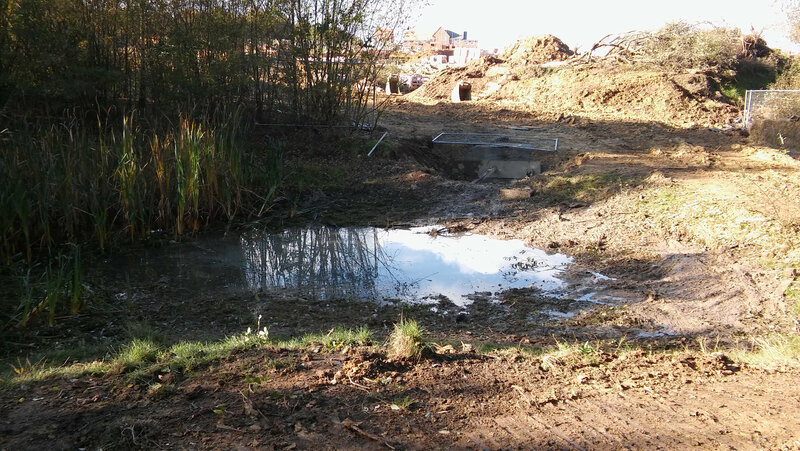 The actions of housing developer, Barratts, have been slammed after the longstanding wildlife pond on Pan Country Park was destroyed as part of a drainage scheme. The councillor explained that the Pan Meadows development “will ultimately extend nearly as far as this pond, but the country park is supposed to provide a buffer against urban creep”. 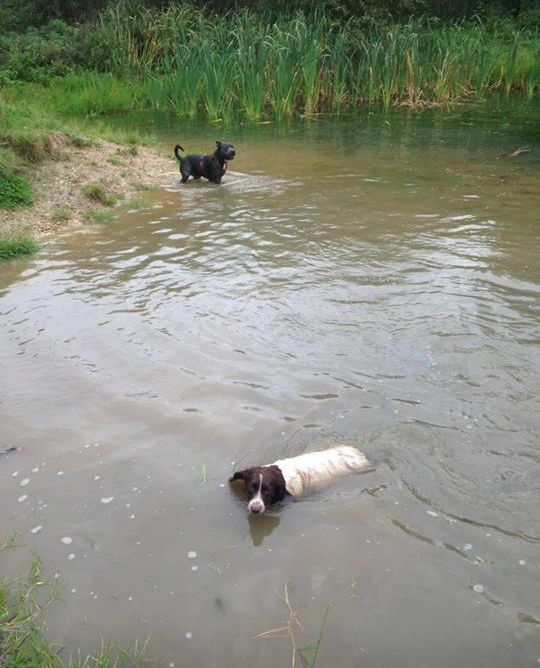 “The pond was never part of any attenuation design, it was outside the development red line and solely intended as part of the mitigating works for wildlife within the country park. 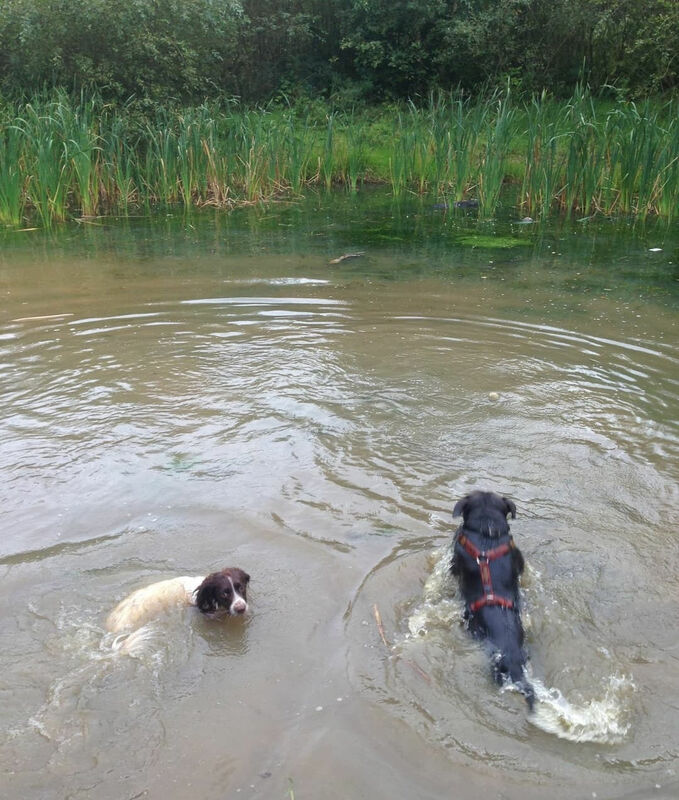 Tizzi Arnold who regularly walks her dogs in the country park said she was appalled by the devastation and shared this photo of the pond before the drainage works. “It seems to me that the only consideration Barratts give is to their shareholders, as they have repeatedly over the last eight years done everything in their power to annoy local people. 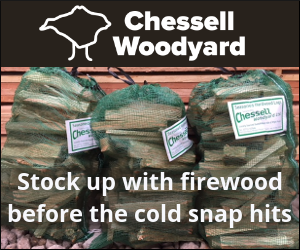 “Look back at the fires in the area a few years ago that burnt out wildlife. Or the recent unilateral blocking of a much-used bridleway that had to be re-routed. Cllr Brodie has now taken this issue up with senior IW Council officers and hopes to find out more early next week. Thanks to all the readers who got in touch with us about this incident. 5 Comments on "Councillor bombarded with complaints after wildlife pond ‘destroyed by developer’"
That is just outrageous. I hope nobody buys their homes.That would hit them hard and teach them a lesson and a few heads might roll. Barratts must now be made to reinstate what they have destroyed and in the event of any reluctance they should be barred from any future developments on the island. Typical of developers. Their only interest is in making money. The only answer is to stop building houses before the Island becomes one large estate. This will, of course, mean limiting inward migration. 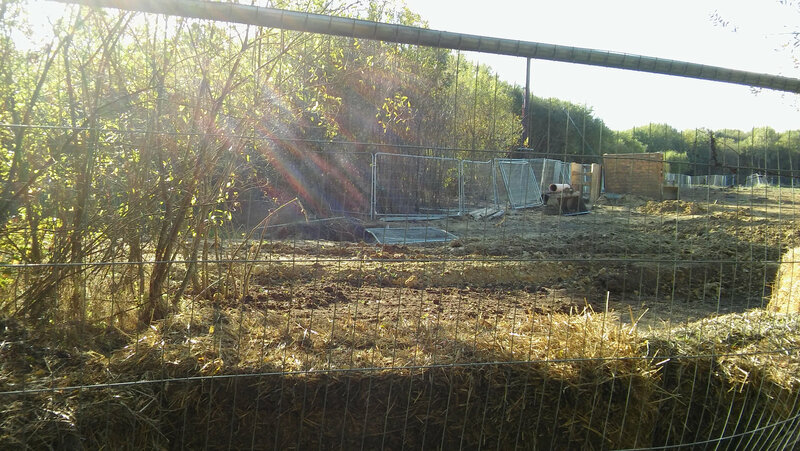 None of the works around the pond area were agreed with Barratts at a site meeting of the 25 October with Council officers. The pond is not mentioned in the notes of the meeting, copied to Barratts and not disputed, which I have a copy of.